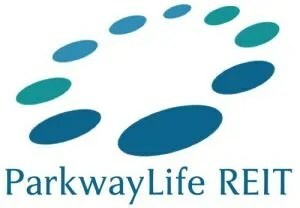 On 26th April 2016, Parkway Life REIT announces its 1Q 2016 results. Distribution Per Unit (“DPU”) fell 7% to 2.99 cents from 3.21 cents. The fall in distributable amount was due to a missing one off divestment gains as compared in 2015. Gross revenue grew by 8.6% and Net Property Income (“NPI”) grew by 8.5%. I will consider the result decent although DPU fell which we know it was due to a missing one off divestment gains. The weighted average term to maturity of the debt is 3.5 years. 98% of the interest rates are hedged. With the recent 6-year JPY fixed rate notes in March 2016, 34% of the refinancing requirements in FY2017 has been termed out. 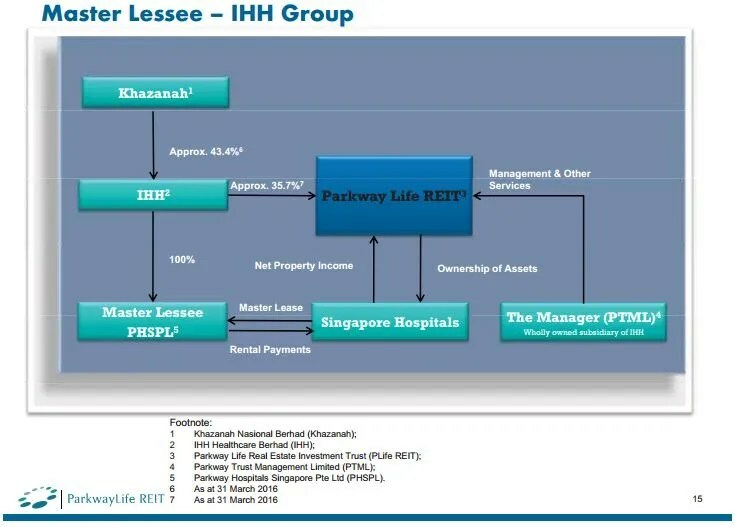 IHH Healthcare Berhad (IHH) holds approximately 35.7% of Parkway Life REIT. IHH is 43.4% owned by Khazanah, the investment holding arm of the Government of Malaysia.